A meeting of two classic 1960s forms of transport at Parkend on 23 March 2002. 1965 built D9555 meets a 1969 Morris Minor during an East Midlands Railway Photographic Society photo charter at the Dean Forest Railway. 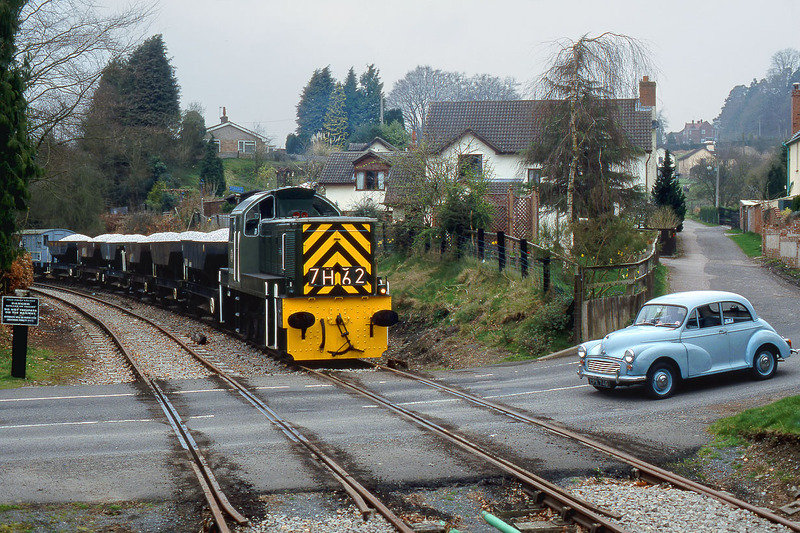 This is of course a staged picture, with the car belonging to one of the railway's volunteers.